802.11ac – revolution or evolution? 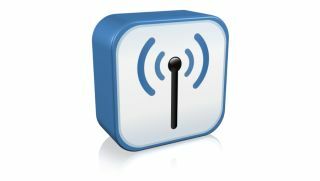 To address congestion and the need for higher throughout speeds in wireless LANs, the IEEE's 802.11ac standard is due to be ratified in February 2014. It will be backwards compatible with 802.11n. The first wave of 802.11ac will include 80MHz channels and 3x3 APs. The second will bring 160MHz channels, MIMO configurations greater than 3x3 and multi-user MIMO. In theory, initial implementations should enable speeds of up to 1.3 Gbps and better coverage than 802.11n. However, 802.11ac can only reach Gigabit-per-second speeds in laboratory conditions, its range is likely to be more limited than 802.11n, and speeds depend on the slowest link in the network. Despite this, user throughput (in bps) will increase, increasing AP capacity. Most organisations will have a hybrid network for some time, so will need design and planning capability for 802.11ac and 802.11n. Engineers should also consider upgrading the capacity of their Ethernet access and uplink networks. For example, if AP links are currently 100MB, they need to be upgraded to 1GB; if 1GB, consider upgrading to 2GB. Aggregation links should be sized to allow for all the 802.11ac APs they will have to accommodate. Throughput - 802.11ac should give better performance and require fewer APs, but technologies such as beamforming mean signal strength is not a true indicator of WLAN performance. It's important to measure throughput, carrying out active site surveys and lperf surveys to map actual end-user performance using an 802.11ac adapter. Capacity – you'll need a network planning tool that supports both protocols to find out if the hybrid network has sufficient WLAN capacity. Measuring channel width, channel overlap and MCS coverage will help assess where high throughput can be obtained to support high client density. Channel allocation – 802.11ac's wider channels make co-channel interference more likely, requiring a channel application plan. 802.11ac designates one sub-channel in a bonded channel as 'primary'; this is used for transmission at a specific bandwidth. Use a planning tool to show where primary and secondary channels interfere with each other so you can adjust channel allocations and AP locations to maximise performance. Impact of using DFS channels – to avoid using the same frequencies as radar, the 5GHz band contains channels with Dynamic Frequency Selection (DFS) capabilities, and the AP has to vacate its channel if it detects radar. A planning tool incorporating a spectrum analyser will identify if DFS channels are available or occupied and show any non-WiFi interference. Impact of older standards – it's vital to ensure that the slower transmission rates of older standards don't reduce 802.11ac performance. A coverage map will provide visualisation of areas where legacy clients can be supported, and a throughput survey using an 802.11ac client will validate whether the WLAN can provide the required user performance. Mark Mullins is field marketing manager at Fluke Networks, and was a member of the original 'Phoenix Team' which led to company's formation. He has helped to define and launch many of its flagship products.